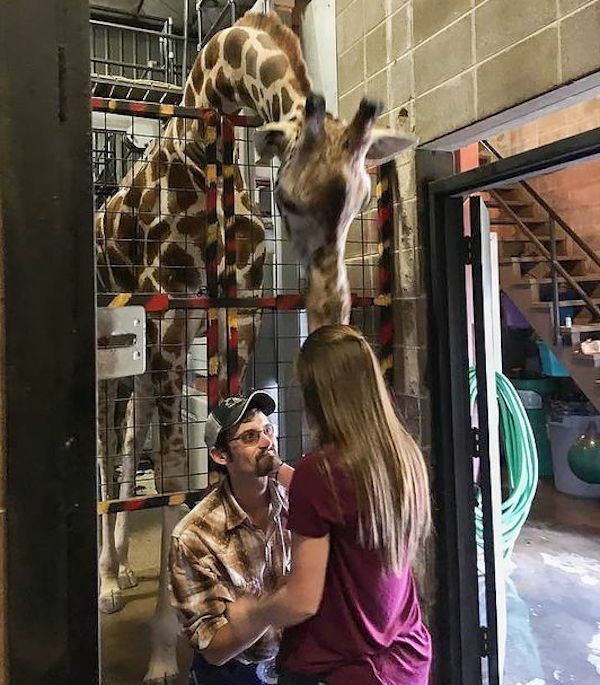 A giraffe in Dickerson Park Zoo in Springfield, Missouri stuck her neck out for love this week when she helped a man propose to his girlfriend. Makayla Blakey thought she was just there to feed the animals, but her boyfriend Cody Hall had other ideas—she did not see the engagement ring hanging around Mili the giraffe’s neck when they were walking near Mili’s enclosure. Before the couple arrived, zookeepers hung a lanyard around the giraffe’s long neck with the ring attached. When the unsuspecting young lady reached up to feed Mili, Cody retrieved the ring and got down on one knee. Of course, the overjoyed girl said yes! Blakey and Hall are planning a spring wedding in the church where they first met. 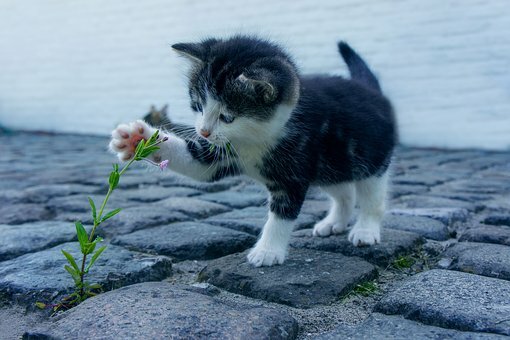 FOLLOW ODDEE ON FACEBOOK AND TWITTER.